Catholic Social Teaching workshop details here. Contact Formation Secretariat: call 6338 3448 (office hours) or email formation@caritas-singapore.org. What is the connection between the Catholic Social Teaching and our lives? Agape Experience (AE), a one-day programme for confirmands, introduces the concept of social mission and spirituality. 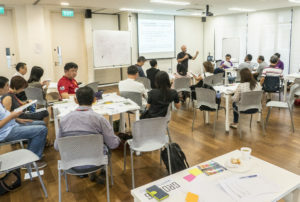 At AE, Catholic youths will be introduced to Caritas’ member organisations and partners, and they will gain an insight into how these organisations work to serve and partner with the vulnerable and marginalised in Singapore. With the addition of a tour around Agape Village and experiential learning activities, the youths are encouraged to think critically and challenged to put their faith in action. 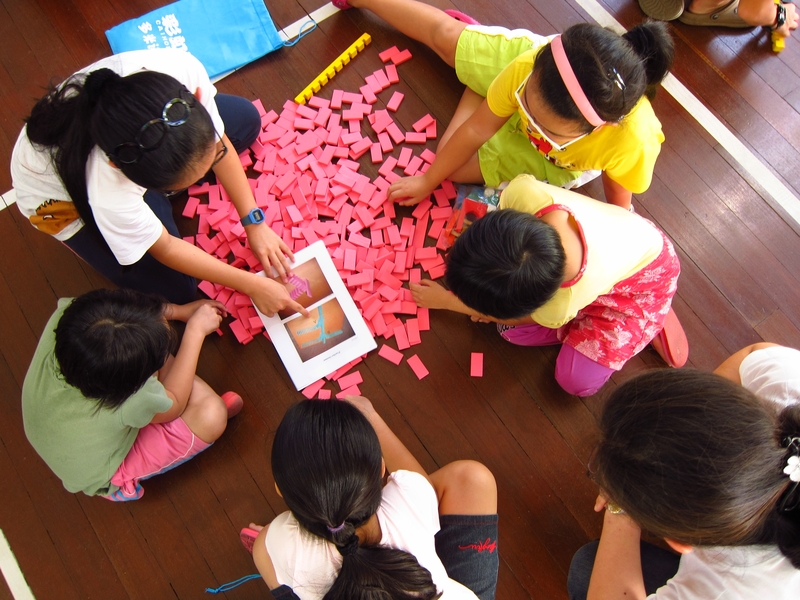 AE, steeped in CST, advocates for youth to live their social mission. Target Audience: Confirmands from Catholic parishes. Agape Experience is held on Saturdays. 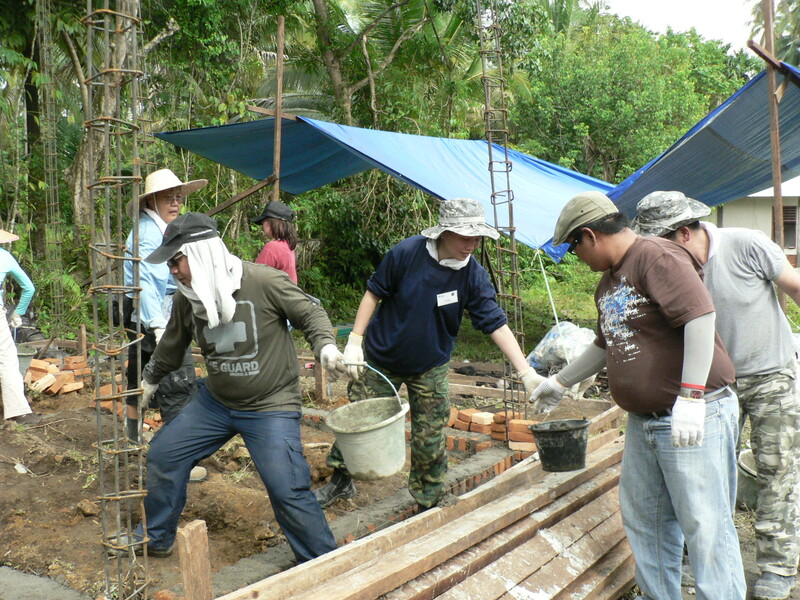 Contact Parish Engagement: call 6801 7416 (office hours) or email eve@caritas-singapore.org. Do we know how our organisation’s mission, processes and work respecting the dignity of each person? Are we applying the principles of CST within our organisation? 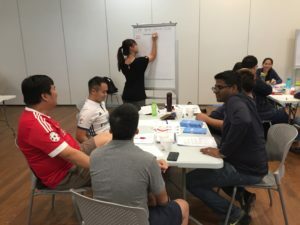 These workshops arm participants with knowledge on the main concepts of the CST and time for reflection, sharing and discussion on how to apply these concepts effectively in their respective organisations. Participants walk away with a better understanding of the Principles of Service in the approach to Partnering the Poor. Building the Kingdom workshop details here. Target Audience: Catholic faith communities who meet regularly need to attend as a group (min. 5 people, considerations could be made for slightly smaller groups). Living Our Faith in Community workshop details here. 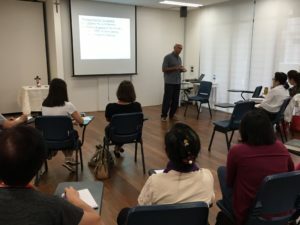 This year-long systematic course in Moral Theology consisting of six modules helps participants gain a better understanding of their moral compass – delving into how they can discern and make life decisions, which in turn, helps them navigate the unchartered roads of their life journeys. Module 1: Who decides what is right or wrong? Target Audience: General. Recommended for those involved in guiding and forming others, and those involved in social mission work or ministry. 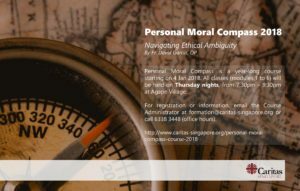 Personal Moral Compass 2019 details here. Review of Life (ROL) workshop details here. Let’s explore CST with friends! 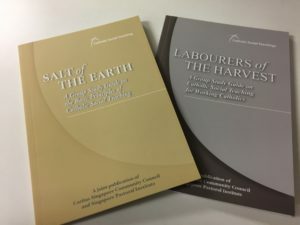 The two study guides, Salt of the Earth (SOTE) and Labourers of the Harvest (LOTH) cover the 10 principles of CST. Each chapter includes content of social teachings and a guided reflection structure. While SOTE studies social principles one at a time, LOTH takes on a thematic approach (e.g., money matters, work-life balance) which caters to working adults. Target Audience: General. Recommended for neighbourhood Christian communities, friends at the workplace and parish groups. 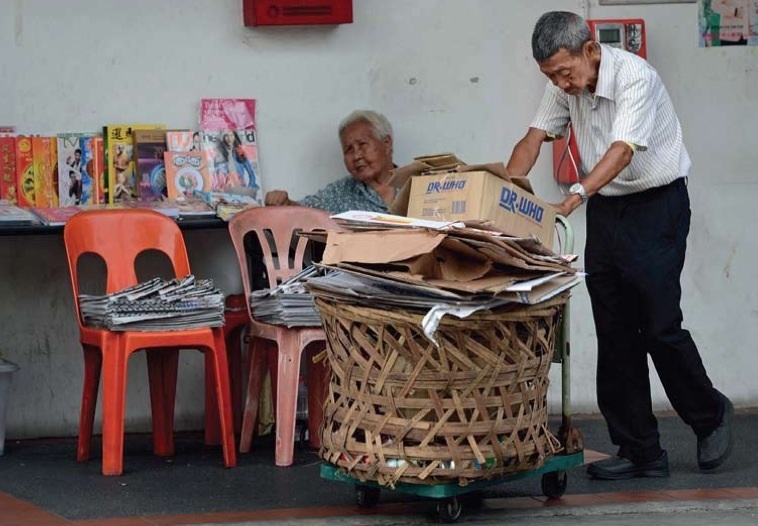 A donation to Caritas Singapore is welcomed. 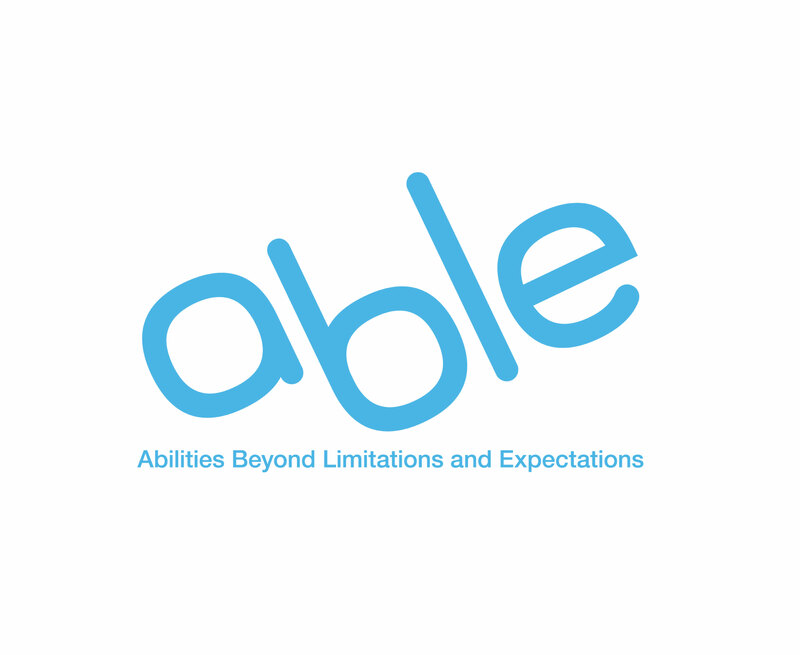 Dates, time and venue to be determined by the group and facilitators. 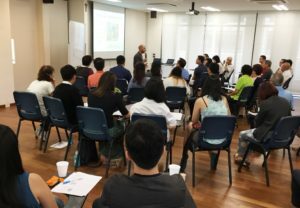 This workshop serves as a platform to welcome and induct new staff of Caritas and our member organisations to the social mission of the Church, and provide them an overview of the Caritas Singapore family. It also introduces inductees to the social situation in Singapore, and an overview of CST and the Principles of Service. Included is an orientation of Agape Village and how beneficiaries are helped at our one-stop social service hub.